The Forced Draft Fan (FD Fan) is a fundamental part of most boiler systems and is the element responsible for creating draft inside of the boiler. The FD Fan provides the pressure and flow required to push air, fuel, and the resulting flue gases created from combustion through the boiler, catalysts, economizer, FGR ductwork, and stack. FD Fans are manufactured in several different arrangements, depending on the size of the boiler. Auxiliary pieces that often accompany the FD Fan include Inlet Silencers, FGR Mixing Boxes, Dampers, and Damper Actuators. FD Fans are designed to be driven by a Steam Turbine or an Electric Motor with an optional Variable Frequency Drive (VFD). Occasionally, the FD Fan is designed to use both of these prime movers in conjunction. The arrangement of a Forced Draft Fan is dictated by the position of the fan impeller relative to the support bearings and fan housing. The arrangement is also classified by either a direct or indirect connection type to the prime mover. Arrangement 3 fans, suitable for direct or indirect drive, have one bearing on each side and are supported by an independent pedestal. An Arrangement 4 fan is designed for direct drive connection and has an overhung impeller mounted to the shaft of the integral prime mover and mounting base. Arrangement 7 FD Fans are very similar to Arrangement 3 FD Fans, but they include an attached base for the prime mover. This fan style is typically mounted on the burner windbox. FD Fans radiate a substantial amount of noise from their intake side that often exceeds the allowable decibel limit in the surrounding facility. To curb the excess noise, Inlet Silencers are often installed on the fan to reduce the noise to a tolerable level that is within specified limits. Inlet Silencers are sized and designed to attach directly to the fan inlet so that a transition piece is not required. For emissions reasons, some boilers require Flue Gas Recirculation (FGR) to reduce the flame temperature and decrease the formation of Nitrogen Oxide (NOx) greenhouse gases. Successful implementation of FGR requires that a portion of the flue gas be routed to the FD Fan air intake and mixed with the incoming fresh air. The FGR mixing box serves this purpose by acting as the combination point for the fresh air gas stream and the FGR gas stream. The quantity of air from both streams is regulated by air dampers mounted on the mixing box. One of the most important functions required by a boiler to guarantee successful, reliable, and safe operation is the ability to regulate the volume of gases traveling to, from, and within the system. Air dampers that are controlled by pneumatic actuators are the dominant method employed to regulate the volume of fresh air, recirculated flue gas (FGR), and exhaust flue gases entering and leaving the system. Additionally, a stack damper is sometimes used to maintain a pre-determined draft loss in the flue gas stream. Dampers are designed with either parallel or opposed blades, depending on the application, and can be fabricated with a variety of materials to best suit the situation. The most common prime mover used to operate an FD Fan is an Electric Motor. Halgo Power custom sizes the FD Fan and Electric Motor for each project by calculating the total required horsepower to move the fresh air, fuel, recirculated flue gas, and stack gases through the system. Electric Motors are offered in a wide variety of voltages and styles. Motor specifications offered include but are not limited to American Petroleum Institute (API) and Institute of Electrical & Electronics Engineers (IEEE) standards. As an option, customers can elect to include a Variable Frequency Drive (VFD) with their Electric Motor to save electrical energy and increase system efficiency. Variable Frequency Drives (VFDs), also known as inverter drives, are electrical devices that electronically minimize the motor input frequency and voltage in order to match the needed speed and torque output of the motor shaft. 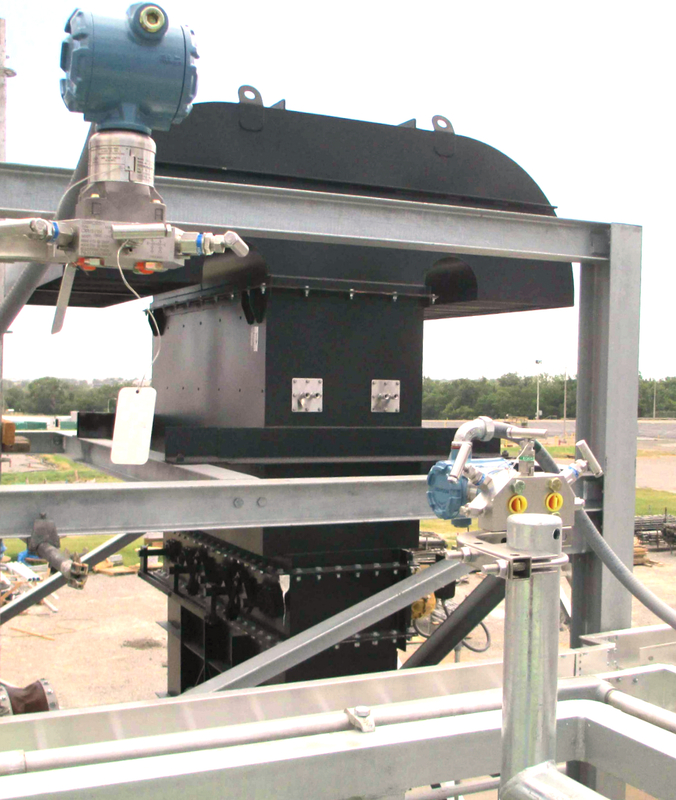 Many package boiler systems operate at a fraction of their full nameplate capacity most of the time, but they are designed to operate the electric motor at 100% capacity and utilize dampers to control volumetric airflow. Controlling airflow with a VFD in lieu of dampers on the Forced Draft Fan system can save millions of dollars in energy savings over the course of the system’s lifetime. Steam Turbines consume the superheated steam generated by a boiler to spin a shaft that is coupled to the Forced Draft Fan. The discharge steam from the turbine is often designed to be useable for processes elsewhere in the facility. Installing a Steam Turbine can decrease the overall cost to operate a system by indirectly using the heat energy of the fuel to spin the FD Fan in lieu of using electrical energy from the grid like an electric motor. 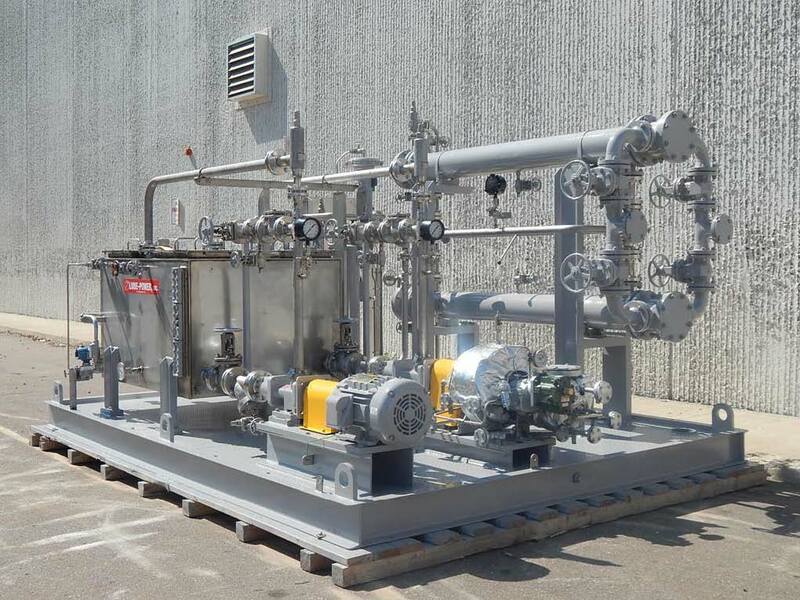 Halgo Power offers steam turbines that meet the most stringent requirements mandated by the American Petroleum Institute (API) and will provide all required supplementary equipment needed for operation. A Lube Oil Skid is a pump station that circulates oil through bearings that are mounted on a Steam Turbine, Electric Motor, or FD Fan. The circulating oil absorbs heat generated in the bearings and rejects that heat to cooling water through a heat exchanger mounted on the pump station, providing continuous cooling to the bearings. 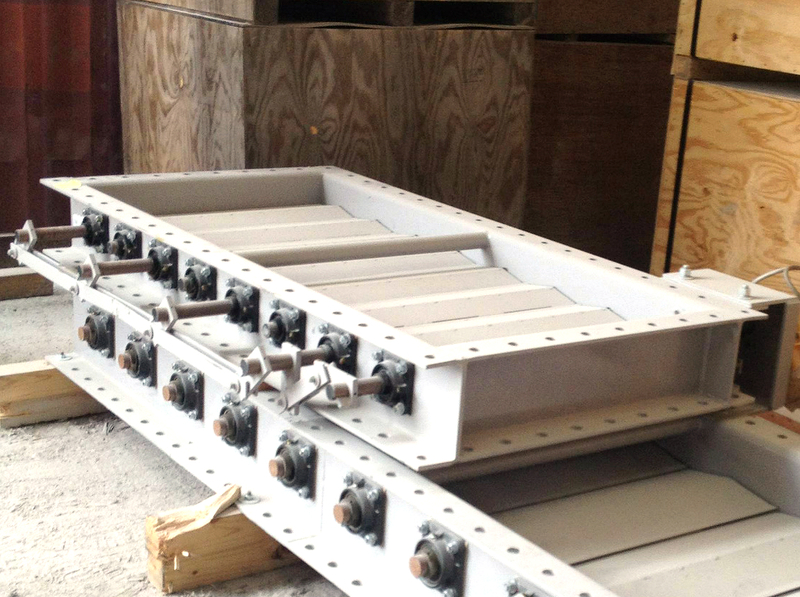 Each Lube Oil Skid is custom sized and engineered based on how much heat the bearings need to dissipate. Halgo Power can offer Lube Oil Skids that meet the stringent requirements mandated by The American Petroleum Institute.